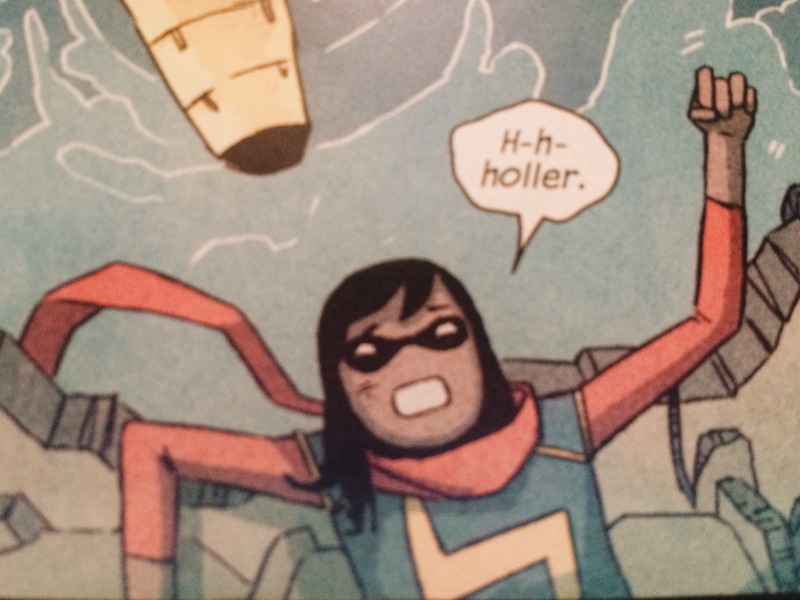 Ms. Marvel returns! And now she has to face the Inventor! Working alongside one of her favourite superheroes and meeting Inhumanity for the first time, Kamala bands together with some of the most unlikely of people to stop Inventor before he does real damage. I’m just going to apologise in advance. This isn’t a review. This is me just flailing as I try to attempt to describe how GOOD this was! In volume one, there was something about it that stopped me from giving it 5 stars but Generation Why was even more enjoyable than No Normal. 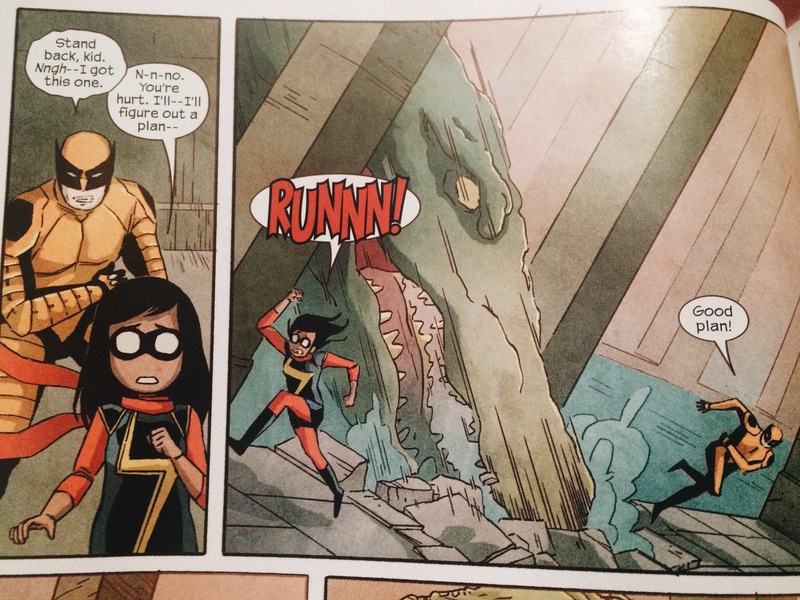 Kamala is even more adorable and hilarious. In Generation Why, Kamala learns more about the nature of her powers. After her encounter with Wolverine during a mission, both Wolverine and Kamala became more curious about her possible origins. Her self-appointed role as New Jersey City’s superhero has caught the interest of Inhumanity. (Since I don’t read comic books, I actually had no idea who they were but a quick google search cleared that up!) They send a superpowered watchdog called Lockjaw to aid her in missions. And this page is one of the funniest in the two volumes I’ve read. 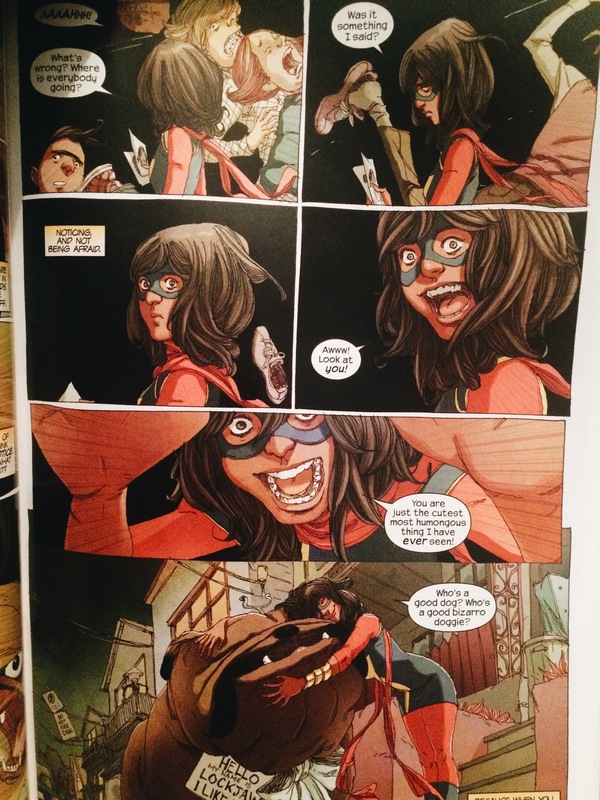 In this issue, the villain sees the current generation of youth as shallow and I loved how Kamala faced the topic of how this generation is undermined by the previous one – calling us self-entitled, unambitious and lazy. I thought this was a great topic to tackle and it worked well using Kamala to tell it, a young teen who is suffering from a generational gap that everyone faces. 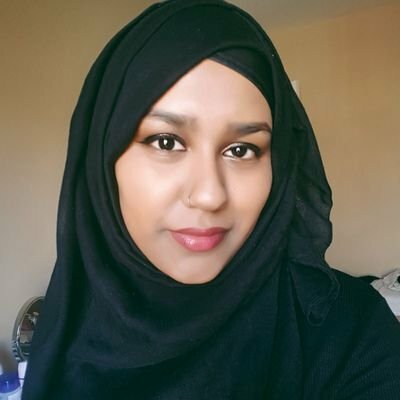 She admits our flaws but doesn’t excuse or condemn them either. I love how passionate Kamala is, and how she refuses to see her and others her age as a lost cause. She gives a speech, while cheesy as heck it was to read, it was a well-timed moment of self-awareness which just stacks up the moments and things I love about her. Simply put, this is so good! As always, the art is good and so hilarious! I recommend this to anyone. Go read it and see what you’re missing out on! 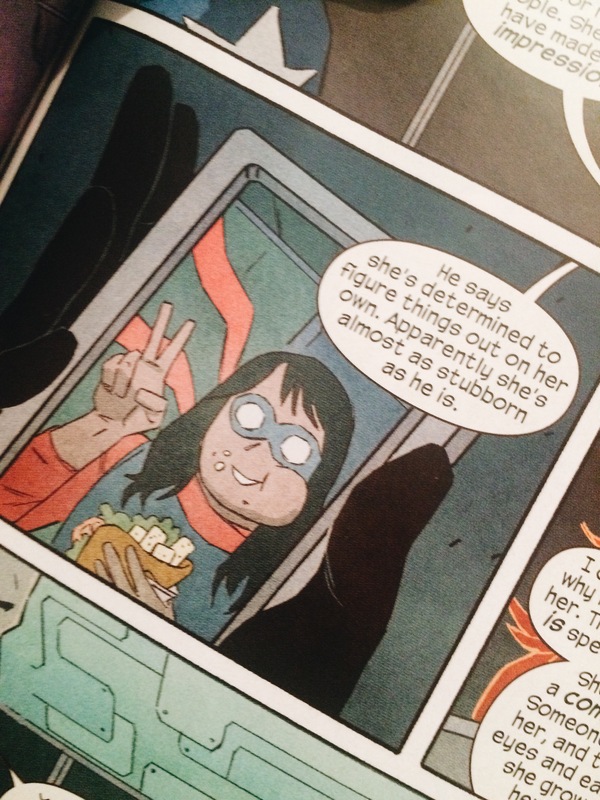 No Normal is Kamala Khan’s origin story. The story of how she suddenly finds herself with the power to shift into anyone she wants and can enlargen her own body parts. In the first volume, it’s mainly Kamala spending time coming to term with her new powers while struggling to hide it from her real life, where she struggles to fit in with her friends while trying not to disappoint her family. I loved this from start to finish. Kamala is so relatable, quirky and adorably funny! And the way Wilson incorporated her family and religion was done so well. She made it feel natural and added truth depth to Kamala. Adrian’s artwork is so gorgeous and funny, I loved it so much. The way he draws the dramatic and comedic artwork is so good and nice. I loved the style and the colours, it works well with the story and made it more memorable for me. I definitely need to see more of his art. A bear flies through space. A hamster suffers a breakdown. Elsewhere, a garden snake is arrested by animal control and jailed for home invasion, while a child marvels at the wonder of nature as worms emerge from the ground and begin looking for vodka (as they always have). 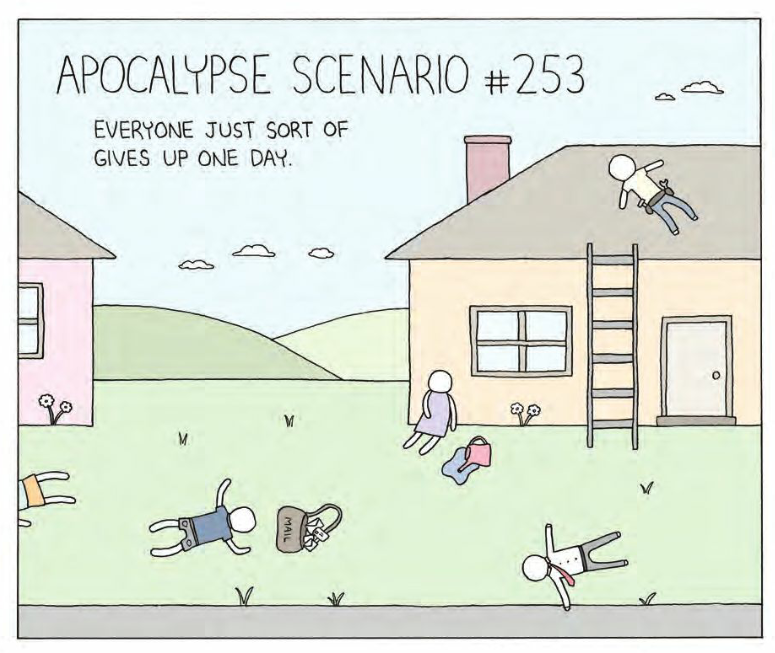 These are common occurrences in the world of Reza Farazmand’s wildly popular webcomic, Poorly Drawn Lines. […] This eponymous collection brings together fan favorites with new comics and original essays to share Farazmand’s inimitable take on love, nature, social acceptance, and robots. 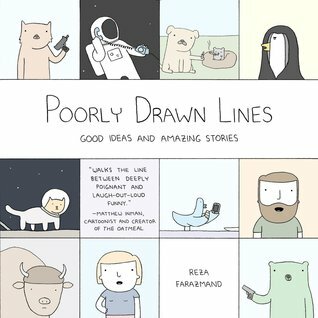 If you’ve been on the Internet for any length of time, you’ve probably seen a Poorly Drawn Lines comic and didn’t even know what it was. 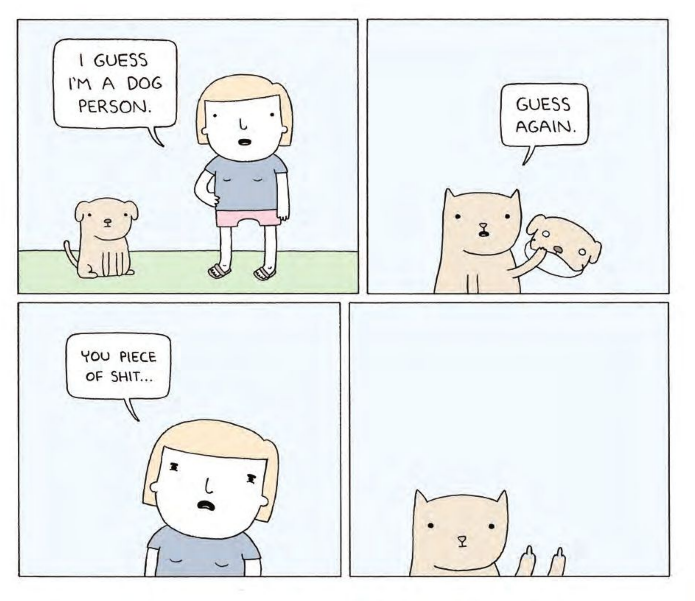 Poorly Drawn Lines is definitely weird. It’s a very short, and a moderately funny read. 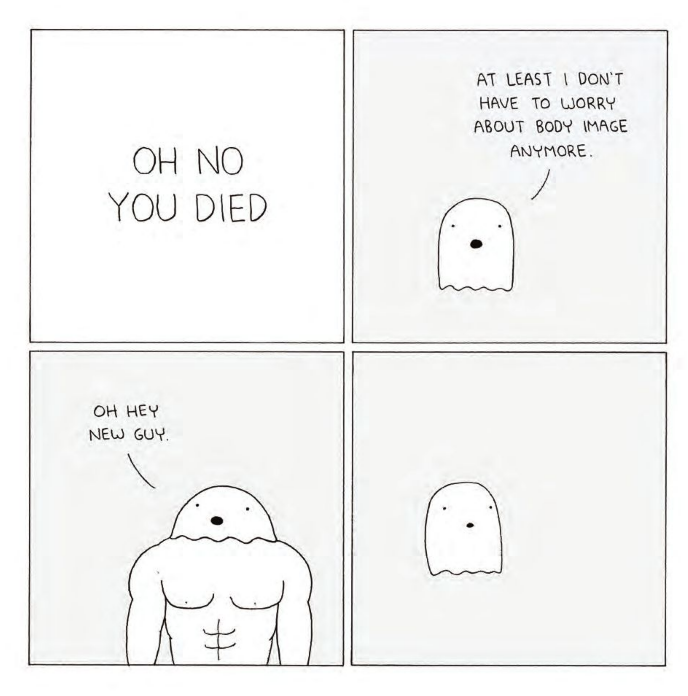 I really liked the art style, but some of the jokes felt repetitive. It was funny the first few times but then got stale real quick. There’s not really a plot to summarize. It’s a collection of comics, some already available online, some for the book alone, as well as strange short stories from unnamed narrators that often veer off into a strange direction.